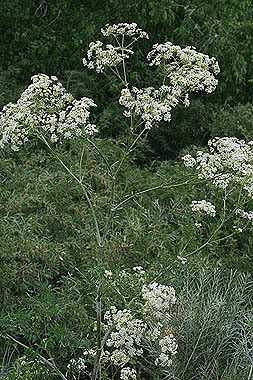 Conium maculatum is a poisonous noxious weed. 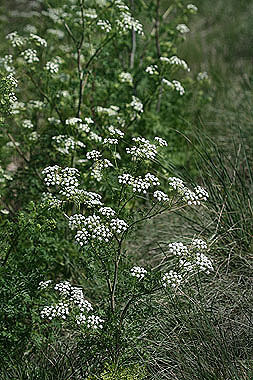 Plants establish along ditches and moist areas and can spread slightly upland. 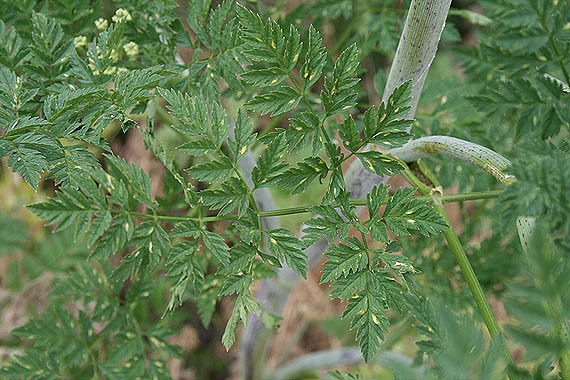 The parsley-like leaves are pinnately compound. 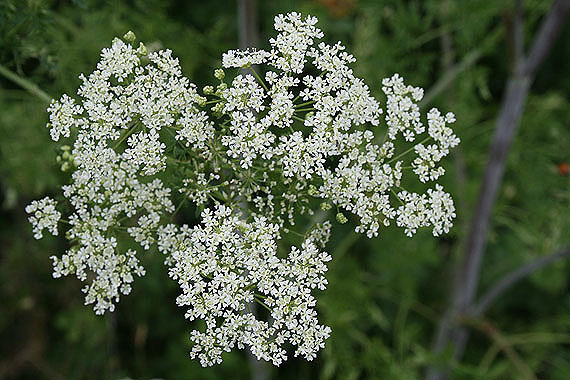 Stems have purple speckles.